The Giabonni's Riverside Salon & Spa bridal beauty experience will enhance your special day. We will create gorgeous hair for the entire wedding party and we are available for in-salon wedding day preparation or can be on-site at the wedding. In life, love gives us a fairytale. 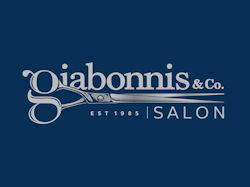 Let Giabonni's Riverside Salon & Spa be a part of yours. More and more brides are wearing their hair in a way that reflects their personal style and what they are most comfortable with. Talk to a Giabonni's wedding specialist today. There are many decisions to make when it comes to planning your wedding day and Giabonni's Riverside Salon & Spa consistently rated one of the top bridal salons in Connecticut!